The 3M Scott Safety ELSA 8RN is an open circuit, compressed air constant flow, escape breathing apparatus comprising of a high pressure compressed air cylinder, a combined cylinder and pressure reducing valve which supplies air to an air hood via a length of hose. Provides a minimum nominal duration of 8 minutes when supplied at a constant flow of 22 litres/minute. Cylinder manufactured from alloy steel to BS 5045 part 1 and is of 1.0 litre water capacity. 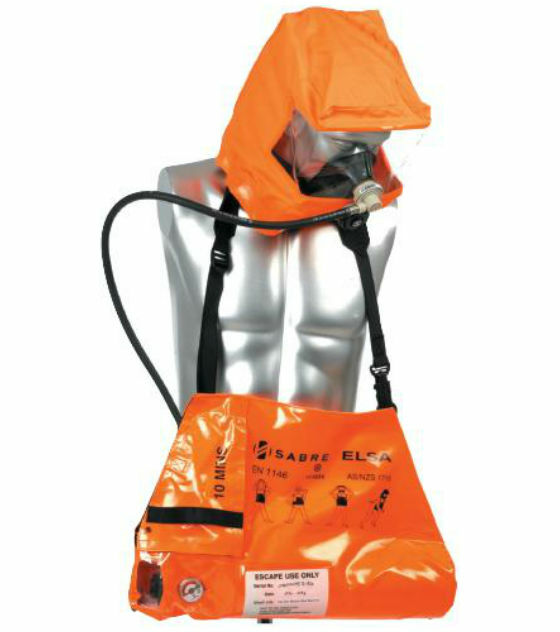 Supplied within a high visibility carrying bag with sling.